Hubba Hubba Hubba! 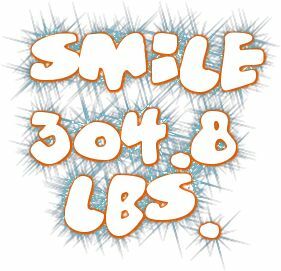 Bounced up .6 lbs yesterday... to 306.0 dropped down to my lowest weight in over a year today...304.8 lbs. yeah baby! It took 4 months to reach this tipping point, and I am soooooooooo glad to have reached it! Frankly it felt like I was stuck in place, weight wise, stuck with friggen gorilla glue… hehehhe… yes I am grinning from ear to ear. Lowest Weight in a Year! Lowest weight in a year! 305.4 lbs, Yes I am a happy camper. I spent most of the day in Scottsbluff yesterday. Which usually results in a bounce in weight. So what was the difference? Usually when I go to town I drink one or two diet cokes. No calories but a ton of salt. Way too much. I had unsweetened ice tea with my lunch this time. Ate one 7 layer Taco Bell burrito for lunch and an ice tea. Mom and I had a little picnic lunch watching the birds and squirrel run around. I walked around Menards, Home Depot, and Wal-mart; looking over the grills and looking for some pepper plants in a 4 or 6 pack. Haven’t decided on the grill yet and did not find any peppers in multiple packs. I did get my hair cut… what a relief! It is really high and tight on the sides and longer on the top. Had some designs cut into the sides. The girl that did the cut and design work is pretty basic with the designs … but she gave it her all. I like the cut. Yeah ok… yes it’s a mowhawk… and I love it! Lol… no I don’t wear it spiked most of the time…lol… but it was def spiked when I came out of the salon. Hehehehe… too much fun. It was my lowest weight in a year celebration cut! OMG! When I sat in the salon chair I just slid right in… loving it. Last year I remember the first time I was able to get into the salon chairs without forcing it. Yesterday It was soooooo wonderful to be able to simply sit. Goin down down baby … down down… and loving it! Rockin of the booty fat… yeah yeah …. I knew I had not eaten enough calories to have gained fat. Frankly I am thankful of that knowledge. I also knew I had worked my abdominals, arms, and back muscles to the point of exhaustion. So there was some water retention, swelling, and muscle construction going on. The noticeable swelling has gone back down, muscles are still sore but not like an open cut and my energy level is coming back up. I am happy to know that the amount of fat that my body lost actually weighs more than the amount of muscle my body built. Yay! Hehehehe… just tickles me. Ok I admit it… I am rather torked every time the numbers go higher on the scale. I know it’s illogical, but I’m still a wee bit torked. Ah well… lol. On a major upside, a rise in weight on the scale is not causing major mood swings and ruining my entire day… nor setting me off on feeding frenzies. Yes it used to. I truly appreciate a better understanding of what’s going on with my body. It would be really simple if it was just reduce calories, increase activity, workout the balance of calories and have set result. However there is so much more involved. Metabolic rate, muscle construction and maintenance, how much you sleep, fat usage, insulin usage (no I am not diabetic- I am referring to my body’s use of the insulin it produces) water retention, and so much more. It’s rather fascinating how our bodies actually work. Fantastic design. Something so cool happened yesterday. After my hubs doctor’s appt we stopped by Shari’s for lunch. The waiter led us to a booth, which lately has been a bit of a challenge for me….as in too fat to fit comfortably. I hesitated for a moment and thought I’m going to try it… Three guesses who slid right on into that booth… and the first 2 don’t count… hehehehe… I had the chicken strawberry salad for lunch. It was actually pretty good, grilled chicken, strawberry, some pecans, a bit of bleu cheese crumbles, on a bed of fresh spinach. I used about a tsp of sesame dressing and some vinegar for dressing. Had black coffee to drink…. Oh yeah and 2 bites of grilled flat bread. The hubs had the American chopped salad… and did not eat any flat bread, and only half of his salad dressing. This is a major shift for him. So I am celebrating his choice. Speaking of choices, I am hungry so I’m going to go make my early morning shake. I started charting my weight every day so I could actually see what was happening with it. I use the food and fitness journal on everydayhealth.com to keep track of what I am actually consuming, as well as my activities/workouts. I really like this thing… it’s free and it is helping me to … not starve or diet… so much as to change my food style and life style to a more healthy style. I was stuck in place weight wise for quite a while. Frankly changing scales really threw me a mental curve ball. 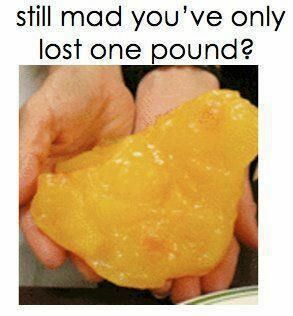 I am glad I did though this weight is more accurate and much easier to use. I started periodically substituting my morning snack or breakfast with a beachbody shake… or shakeology (also from beachbody). On the days I did this I noticed that I did not have so many cravings during the day. Those things are so full of nutrition that my body needs that my body seems to function better all day. I like what I’m seeing and feeling on the days I’m drinking the shakeology, and that poundage loss does not break my heart either. So here is what I’m going to do. Today I am going to take my measurements. Which you know I seriously do not want to do… lol. I already weighed. 307.2 lbs that’s 6.5 pounds lost so far this month which frankly I did not realize until this morning because it’s been bouncing along. This loss is with sporadic use of shakeology. For 30 days I am making the commitment to have shakeology/beachbody shake for early morning snack, or breakfast. I will post the results. 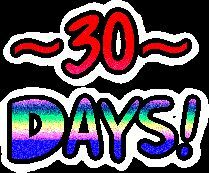 In 30 days I’ll measure again. June 18th 2012. I am going to continue weighing each morning…just because I want to see how weight fluctuates. Life is a journey, one step one day at a time. 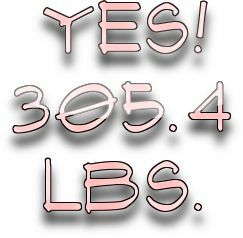 Yesterday I bounced up to 313.8 lbs. Has to be water retention ... because I did not eat that many calories... my muscles are still really sore and I weighed the same this morning. Frustrating. I decided to start using Shakeology as my early morning snack. I used to walk walk walk... it had been a while since I'd walked any real distance without stopping to pick up something or just working around the ranch... I was actually surprised at the effect it had on me. Drove home the point that I need to walk more. I know I need to add in some more cardio and resistance... but am not quite ready to do that yet. One day one step a a time. 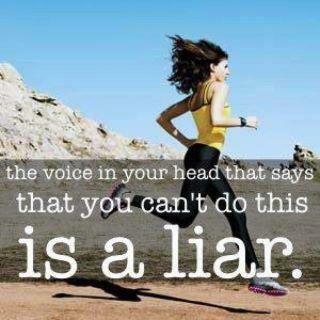 That hour on the treadmill yesterday was all I had in me. I’ve bounced 4 lbs. Bounced up one… then 3 overnight. Oh, btw… no I did not consume enough calories to make that possible. 313.8 lbs. I had decided to chart my weight daily and see what was happening with it. I am going to keep charting it daily… for a while any way.